I am the Executive Director of a pregnancy center in Pennsylvania. Last November, my client advocate came to me with a seemingly impossible request: did I know of an individual or a church that could help her client’s family? 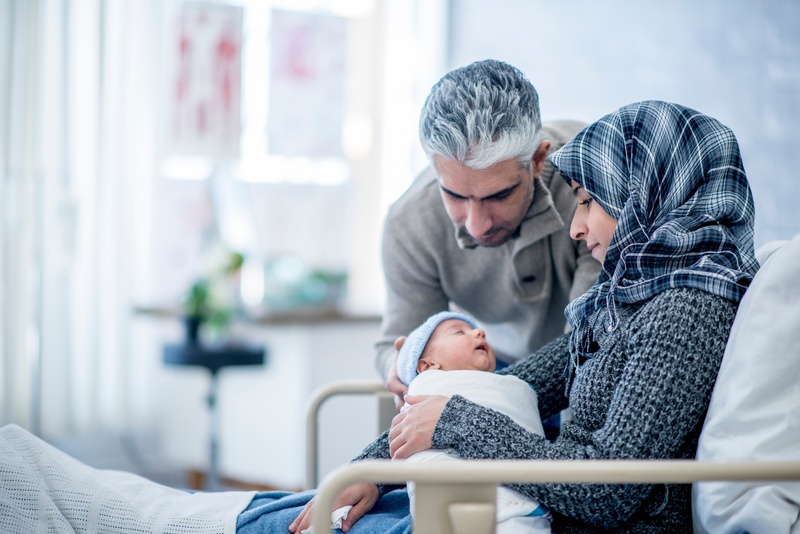 A Muslim client had come to America with her husband and child only a year and half before we met her. She was faced with a tough pregnancy decision and came to our pregnancy center looking for referral services. Due to her language barrier she faced many disadvantages, and to add to an already seemingly impossible situation, her husband lost his job. As her mid-December cesarean section delivery loomed ever closer, our client and her family felt isolated, lonely, and friendless in their circumstances. My client advocate and I were moved by our client’s struggle and felt led to help this family. Despite knowing that churches would be extremely busy being that it was two weeks before Christmas, we knew that we still had to reach out. We felt led to contact two particular churches to see if they would have anyone who would be willing to minister to this family in need. These churches are both neighbors to our center and partner with us in our ministry. One of the churches had also started a Making Life Disciples program, while the other had just completed an evangelism training session that we had attended. In other words, these churches were in the business of reaching out and loving others in the name of Jesus. I hoped that maybe someone might be willing to take a meal to this family, or help in some small way despite the busy time of the year. I didn’t have to wait in anticipation long because both churches responded IMMEDIATELY, wholeheartedly thanking me for reaching out with this opportunity to love and serve a family in need. This was such an encouragement to me personally. Each church began to reach out to the family through meals, referrals for jobs, visits, maintenance to fix their broken furnace, and most importantly extending friendship to a family that felt friendless. Each church worked seamlessly with the other to serve this family well. One church focused on getting the Dad job ready with language and skills training, while the other church focused on family support, meals, and other day-to-day needs. What impresses me so much about this whole continuing journey is the willingness of the church to take on this role of embracing the family and walking with them through this hard, yet special time of their lives. To this day, the church is ministering to them and maintaining that special bond that was created during a powerful experience that this family will never forget. The client family continues to express so much thankfulness to both myself, and the client advocate for their ongoing relationship with their friends from both churches. I expect only good things to come from these relationships and I pray that someday the family will know Jesus as their personal Savior. It is incredible to see the power of the partnership between pregnancy centers and the church. I am a witness to how God can move when we join hands and hearts, and I pray that these partnerships will continue to form for not just our center, but all the others as well. About the author: Melanie Parks is the Executive Director of Amnion Pregnancy Center in Pennsylvania. 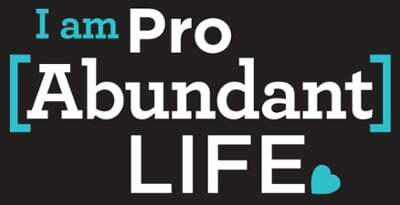 "I stand with other believers who protect the life of thousands of unborn children!"